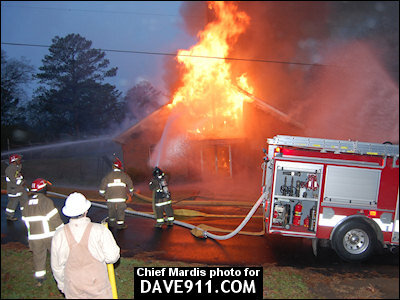 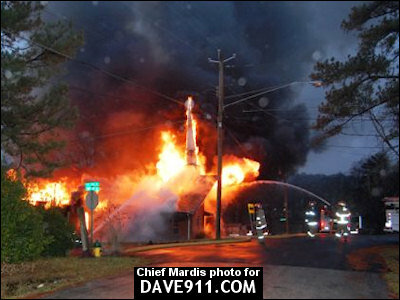 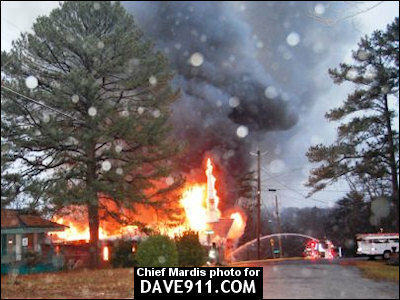 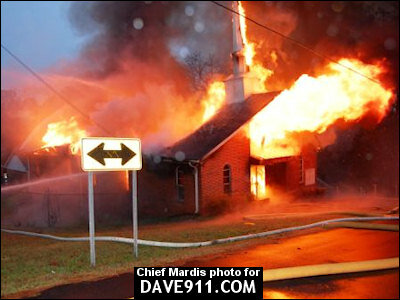 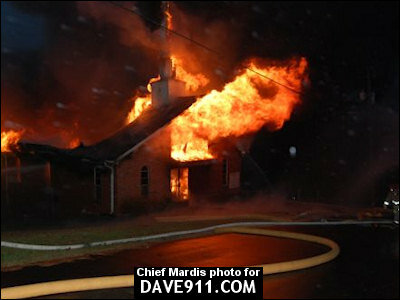 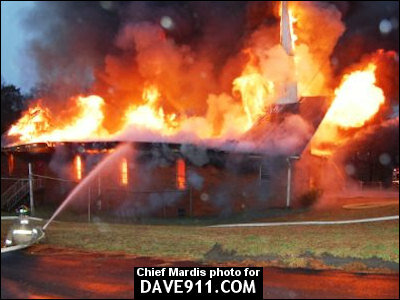 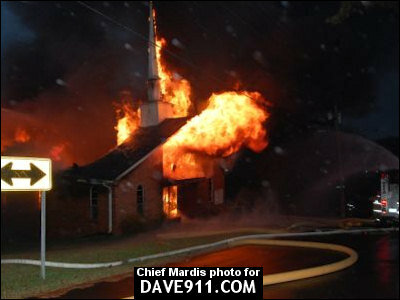 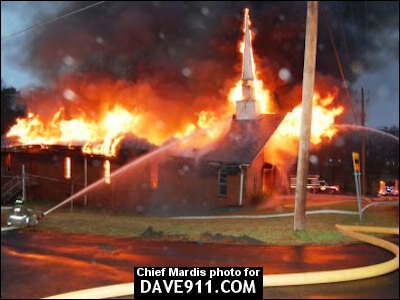 A fire started around 6:20 a.m. on December 31, 2009 at the Pleasant View Baptist Church in Airport Hills. 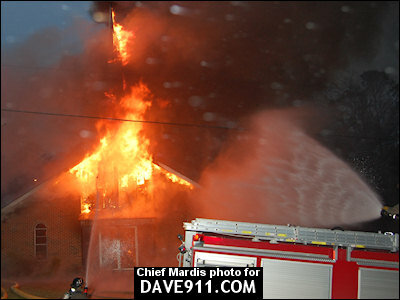 Upon arrival, firefighters found flames shooting through the roof. 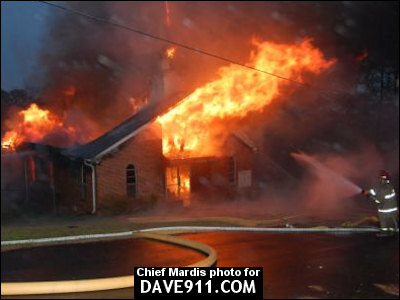 Even with all the hard work by Birmingham Fire & Rescue, there was nothing that could be done to save the nearly 40 year old church. 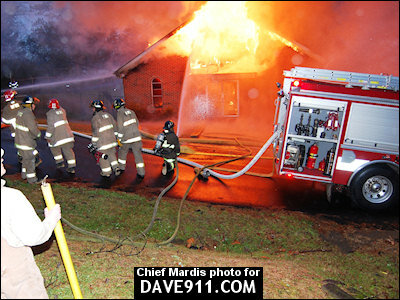 A special thank you to Chief Mardis for sharing these amazing pictures! 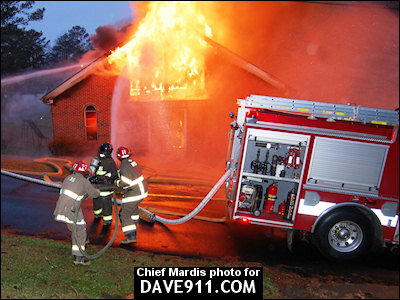 Helmet cam video will be posted soon.